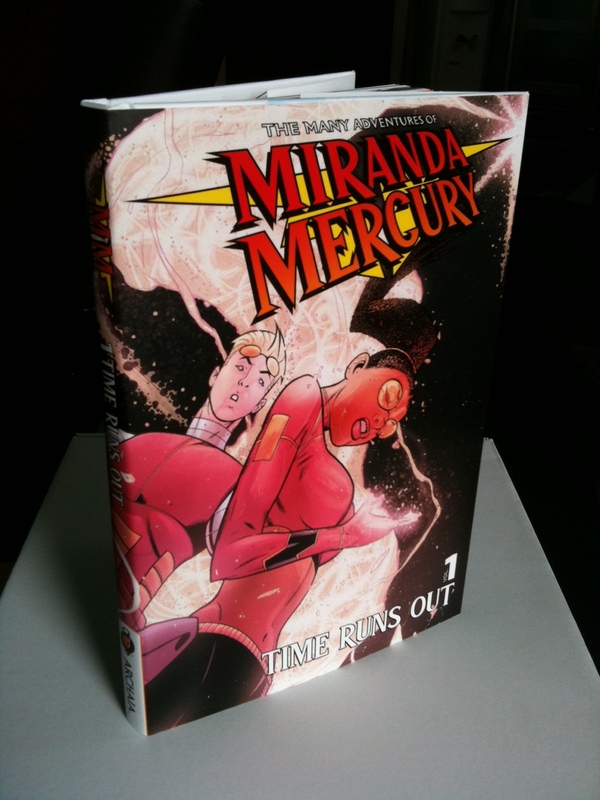 Most importantly, the impossible happened—advance copies of The Many Adventures of Miranda Mercury: Time Runs Out arrived safely at Archaia’s offices after an international voyage from the printer. Meaning that next week at San Diego Comic-Con, the book will be making its official debut, hot off the presses at booth #2635. Approved signing schedule should go live early next week, but obviously this will be a huge moment for me and the entire creative team that’s worked on this project the last several years. Pic of the gorgeous lookin’ hardcover directly below, followed by a few links to recent press coverage the book has gotten. Should be a big week and stay tuned for further developments. So very glad to finally be able to read issue 296, and so happy to see Miranda back in action. Will issues 297-300 be released in this same “single issue” digital format? Or do I have to pick up the collection to read these tales? Congrats on getting Miranda back to market. I believe that all of the issues will be released digitally as singles and eventually as a digital trade. At the con this weekend, I’ll see if I can find out some more specific details in regards to release schedules and price points for the collection. Glad to hear you liked #296 and we think the stories get better and better as you work your way through the hardcover. Thanks for the support! If I were at the Con I’d try to get one of those hard-covers, but alas. Have fun, and I’m sure you’ll burn through those 200 copies. I’d be surprised if they last through Saturday.